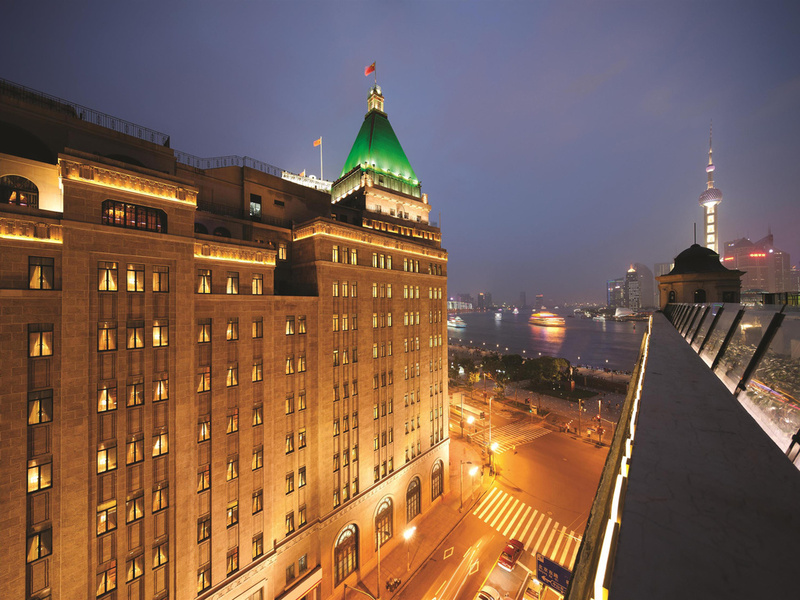 The Fairmont Peace Hotel Shanghai is Shanghai's legendary landmark in the heart of the Bund, since 1929. It is the iconic building located right in the center of the Bund where Shanghai's finest epicurean lifestyle is defined by all the award-winning restaurants and bars. It is also in the unrivaled shopping area on Nanjing Road, where it is the perfect place to explore Shanghai's spectacular scenery and vibrant lifestyle. CONVENIENT LOCATION ON THE BUND Boast Shanghai's most enviable address, Fairmont Peace Hotel is conveniently located directly on the world-famous Bund. Stroll the waterfront area and enjoy a dazzling view of the city skyline. The Shanghai Luxury hotel offers 270 distinctive guestrooms, including 39 luxurious suites, which blends art-deco-inspired furnishings with modern amenities.The famous Nine Nations Suites remain a feature of the new hotel. A Presidential Suite will occupy the 10th floor penthouse where the hotels flamboyant creator plus former owner - Victor Sassoon - once lived. The Cathay Room offers a sociable and luxurious dining experience with elegantly presented, modern European, home-style cuisine. The private balcony will astound our guests with its panoramic views of the Bund and the world-famous Pudong skyline. Dragon Phoenix has reclaimed its status as the premier Chinese restaurant in Shanghai offering quintessential Shanghainese and Cantonese cuisine. Guest will be transported back to a time of opulence when personalized butlers anticipated every need. Jasmine Lounge offers offering the finest tea experiences and elegant evening cocktails. Famed for its traditional high tea indulgence, enjoy the daily Classic High Tea with a feast of afternoon tea savories and desserts served to your table. Victor's is an art deco deli offers a French Café menu and showcasing the finest hand-crafted pastries and delicacies in Shanghai. Jazz Bar at Fairmont Peace Hotel is the only address in China for legendary jazz, carrying guests instantly back to the private clubs of the 20's and 30's with its comfortable and authentic décor.